This is the Burj Khalifa building in Dubai. 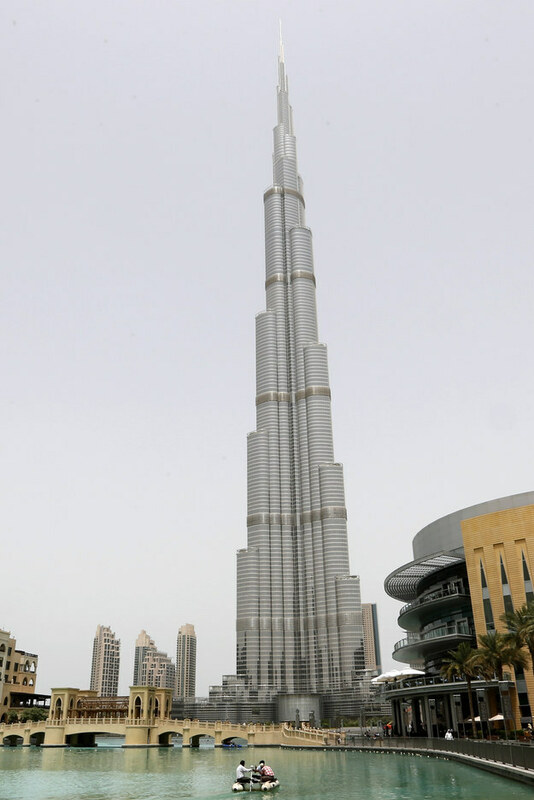 At 2,722 feet, it is the tallest building in the world. 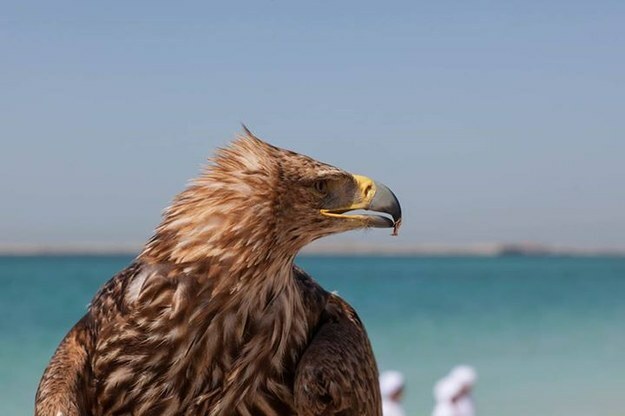 This is Darshan, an eagle with the group Freedom Conservation, which works to raise awareness about endangered birds of prey. 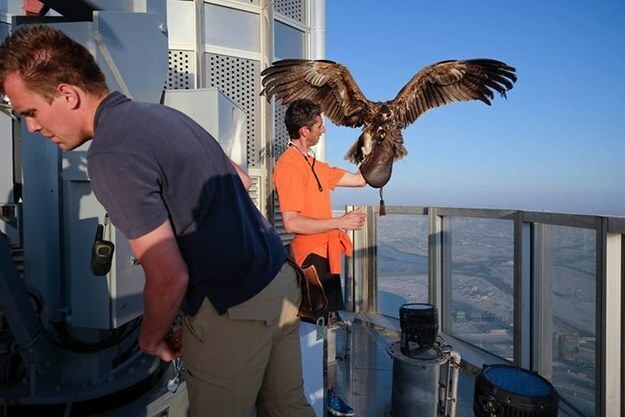 Wearing a special camera, Darshan was released from the top of the Burj Khalifa on Saturday for a record-breaking flight. The (literal) bird’s-eye view was spectacular. He soared majestically over the entire city.